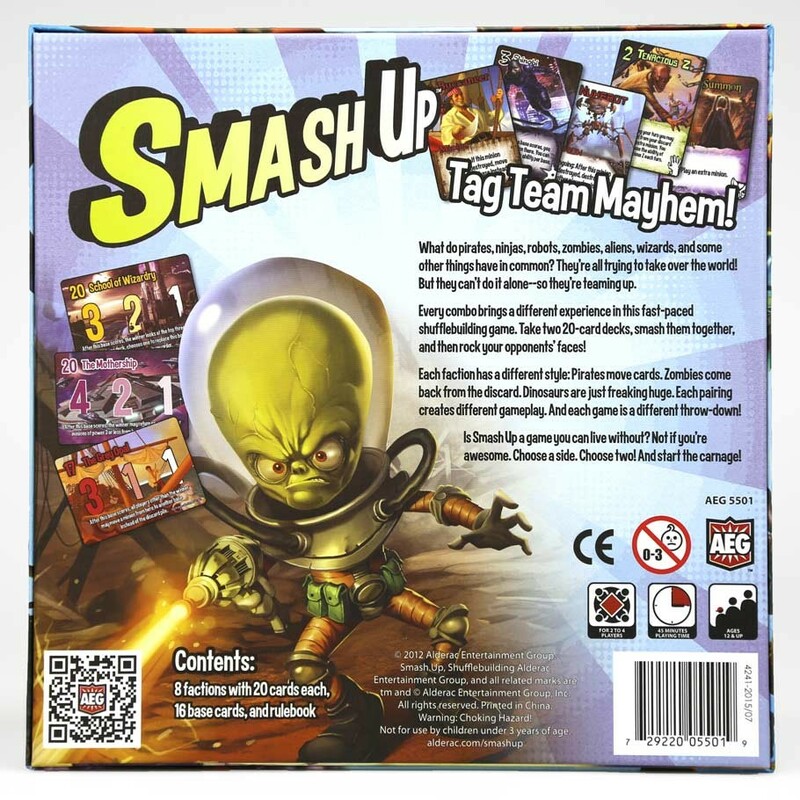 Smash Up is the all-new shufflebuilding game from Alderac Entertainment Group. The game features eight factions such as Pirates, Zombies, Robots, Aliens and more pairing up to duke it out over bases. Each pairing creates a different play experience, generating a great amount of repaly value. 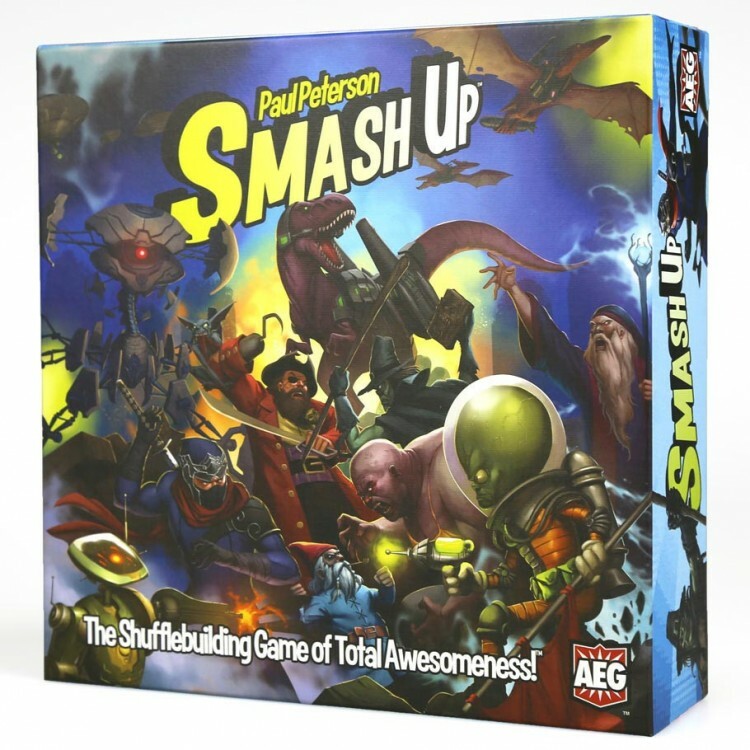 With fun and exciting art, Smash Up is sure to be a hit.